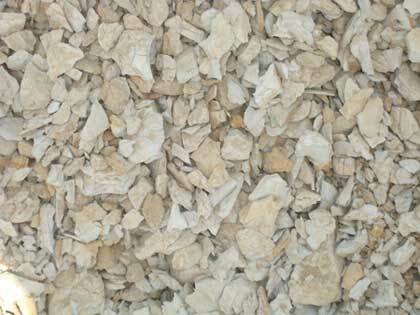 Bentonite Lumps is used in vertical drilling fluids to increase viscosity and filtration control. This mineral is also ideal in drilling fluids because it expands when exposed to water. This expansion helps down whole formations to be sealed from invading drilling fluids. The Drilling Bentonite Lumps extracts the drill cuttings from around the drill bit, which are then floated to the surface. Bentonite Powder Lumps also serves to cool and lubricate the drill bit as well as seals the drill hole against seepage and to prevent wall cave-ins. It is mainly use in fresh pure water rotary drilling conditions as water quality will affect Bentonite Powder Lumps performance. The quantity of Bentonite Powder Lumps used is variable depending upon the depth of the hole to be drilled. Generally one tonne of Bentonite Powder Lumps is used to prepare about 100 barrels of mud.BENTONITE Lumps is also used in Iron Ore Palletization.